This bundled set is focused on pampering the paint of your treasured automobile. 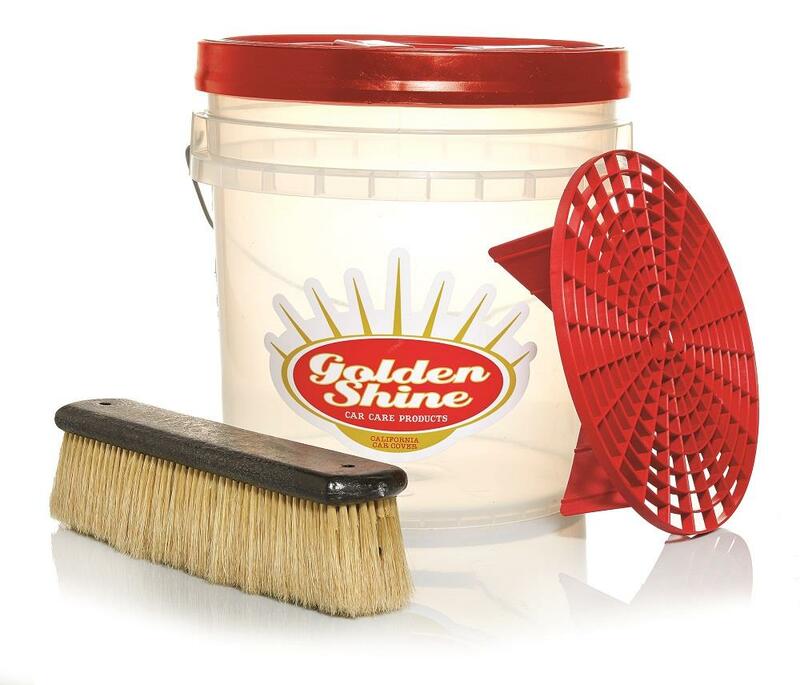 The new Golden Shine Wash Bucket has a padded handle grip and a Gamma Seal airtight lid that turns the bucket into a stool for easy access to low-down areas of your car that require special attention. A unique and effective Grit Guard system traps dirt at the bottom of the bucket when you rinse your washing tools, which means you won't inadvertently grind the grit into the paint with the next swipe of your cloth. For this kit, we're also pleased to offer the Genuine Boar's Hair Car Wash Brush, an exceptionally gentle washing tool comprised of 400 bundles of boar's hair secured in a hard plastic block and split at the end for extra softness. Scrub without worry with this 12" long brush. Bundled for savings of over 10%!